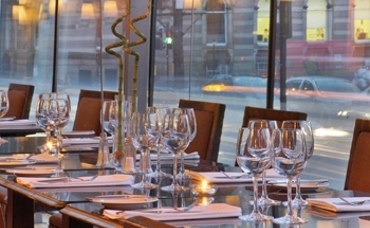 This was my first visit to the Brasserie on George Square and I will definitely be back again. I was very impressed with everything - the food was fatastic, the service was very friendly and efficient, the surroundings pleasant and I thought it provided good value for money. There were four in my party and we all agreed it was a venue we would be back at and wouldn't hesitate to recommend.